Red Dwarf XI/XII news makes waves. You know, we spend so long existing in our happy little bubble of Red Dwarf fandom that it's easy to forget just what an impact the show can have in the outside world. And then something comes along that makes us remember - something like, oh, we don't know, the announcement of two brand new series? We've waited so long for #RedDwarf to start trending...I feel so... so *high pitched voice mode* I feel so emotional right now! BWAAAHH! In the meantime, however, there was also the small matter of additional detail about the new series, beyond what was established in the official announcement. Here's a roundup of some of what was said by Doug onstage at DJ - although of course we should stress that as the series is still in pre-production, plenty could change between now and the time the episodes are shot! No confirmation on extended cast, Holly or Kochanski. Doug says he's considering a Kochanski episode. Doug confirms the reuse of old sets to allow the budget to expand the scope to things like Starbug. It wasn't just Twitter that reacted to the announcement, though: in fact, it quickly became one of the biggest television stories of recent weeks, and was covered by (deep breath) the Independent, the Evening Standard, the Radio Times, the Metro, the Mirror, the Mail, BBC News, Yahoo! News, Chortle, Digital Spy, Den of Geek, Empire and... well, a lot more publications and websites besides. Then, of course, there was the additional news that Craig Charles would be leaving Coronation Street to concentrate on his Red Dwarf commitments - something which became front-page news of its own on Monday morning. The announcement also saw several websites publish Red Dwarf-related articles in tribute. Shortlist gave us The Ultimate Red Dwarf Quiz (we scored 20 out of 20, and thoroughly expect you to do the same), while Radio Times asked Which Red Dwarf Character Are You? (we were Rimmer, surprising no-one). Over on the Metro, meanwhile, we were given a list of 6 times the show was the best thing on TV. Which was nice. 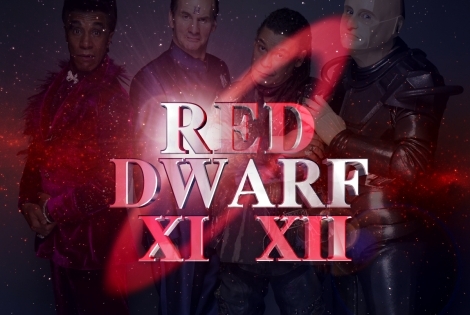 Red Dwarf XI and XII will be broadcast on Dave in 2016 and 2017!